The world’s biggest and most expensive aircraft is about to make its maiden flight, and CF Wong has been called in to ensure the plane’s feng shui is up to scratch. When a man is murdered on board, Mr Wong is delighted he can charge a premium to alleviate the extra negative energy. He’s also been appointed to figure out whether the miseries of the British Royal Family are simply a result of bad feng shui, so things are looking profitable. But Wong and his irrepressible assistant, Joyce, soon become embroiled in solving the murder. They’re forced to use all their charm, logic and feng-shui mastery if they want to live to feng shui another day. 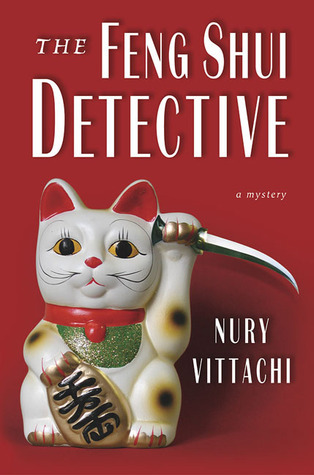 Nury Vittachi takes off in this latest instalment of the eccentric and wildly entertaining Feng Shui Detective series. Feng shui master C.F. Wong is not what you might call fond of change. The 21st century, with its rush-rush, its chattering technology, it’s fusion-food, that’s all about change. The eternal truths do not change. And yet it is a contemporary truth that Master Wong has left Singapore for Shanghai. Before long a band of crazed vegan terrorists has taken Shanghai hostage. Only Master Wong can save the city, some visiting foreign dignitaries, and an extremely rare white elephant, from the destructive passions of the ferocious tofu-eaters. A murder in the Philippines, a kidnapping in Thailand, grand theft auto in Singapore: just another day at the office for CF Wong. No, he’s not a detective, he’s a feng shui master, and he’d much rather just get paid, go home, put his feet up, and leave solving crimes to someone who cares. But that’s just not going to happen. CF and his assistant, Joyce, are on a business trip around the Asia Pacific and wherever they go, their unique way of getting to the bottom of the most perplexing cases seems to be needed. Baffling crimes, ingenious schemes, exotic locations and bucket-loads of charm. 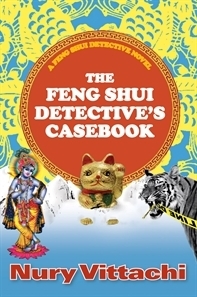 The Feng Shui Detective’s Casebook is Vittachi at his witty, original best. 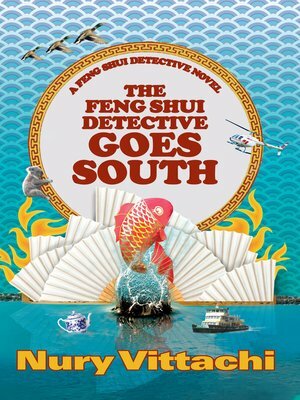 In their first full-length novel outing, the feng shui detective and his assistant get involved with a bizarre case: they find a young woman whose fortune predicts almost immediate death. 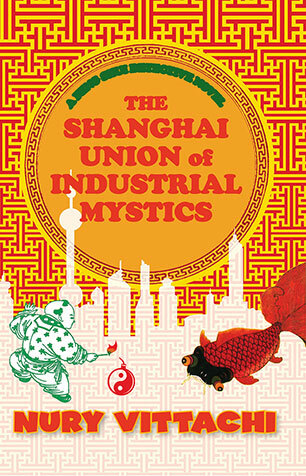 CF Wong and his colleagues at the Union of Industrial Mystics have a curious problem to solve: the only way to keep her alive is to prove that the predictive skills they have developed over their lifetimes have got it all wrong. Set in Singapore and Australia. Mr. Wong is a feng shui consultant, but his cases tend to involve a lot more than just interior decoration. You see, Wong specializes in a certain type of problem premises: crime scenes. He and his brash teenage Aussie-American ex-pat intern (think an Asian Sherlock Holmes paired up with Kelly Osbourne) travel around Singapore solving crimes while trying to decipher each other’s language and behavior. His latest case involves a mysterious young woman who, according to a psychic reading, is doomed to die. Wong’s desperate efforts to save her eventually lead him and his sidekick to Sydney where the story climaxes at the Opera House, a building known for its appalling feng shui. A delightful combination of crafty plotting, quirky humor, and Asian philosophy, the Feng Shui Detective is an investigator like no other!